Where do Middlesbrough rank when it comes down to average attendances? The Championship table would look a little different if teams were ranked based on their average home attendance so far this season. With nine matches down, Leeds United and Middlesbrough are only separated by goal difference at the top of the table. However, based on attendances, The White remain and Boro drop to... 10th. 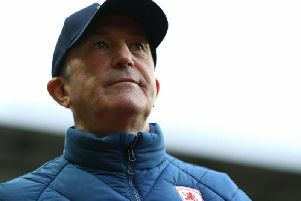 Tony Pulis' men have welcomed an average of 22,768 to the Riverside Stadium so far, nearly 11,000 behind Leeds while sixth placed Sheffield United hold a near 2,000 advantage. Sheffield Wednesday and Birmingham City are sandwiched either side of Boro with a short score keeping the trio a part. Rotherham United rank bottom with an average of 9,332, occupied by Brentford and Wigan Athletic in the bottom three.